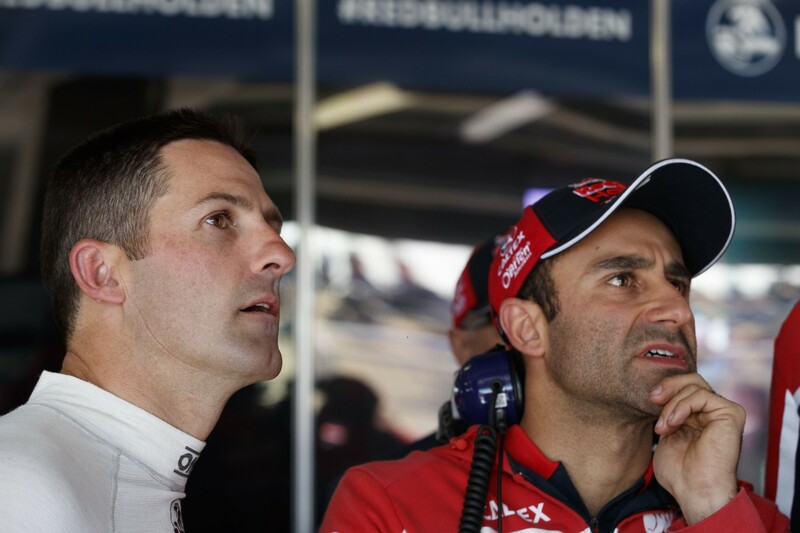 Jamie Whincup says the Red Bull Holden Racing Team will be making “massive changes” overnight in a bid to turn a muted Supercheap Auto Bathurst 1000 around in the race. 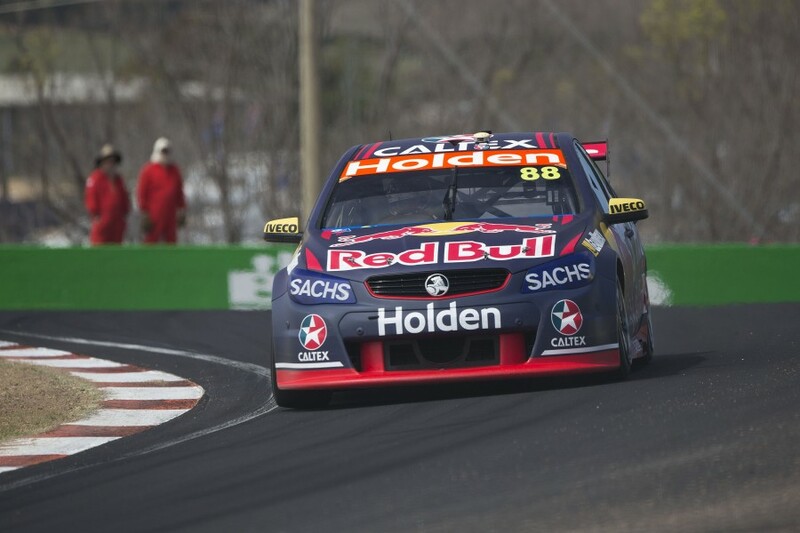 Whincup and Paul Dumbrell were the dominant force at Mount Panorama 12 months ago, but ultimately added to their list of recent near misses with the six-time champion’s clash with Scott McLaughlin and Garth Tander. However the #88 Commodore has struggled by comparison this week, the pair 10th or worse in three of the five practice sessions before qualifying. 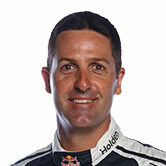 On Friday afternoon, Whincup’s run of making the Top 10 Shootout came to an end when he set the 11th-fastest time, surmising he was “down everywhere”. The lack of a Shootout appearance afforded Whincup more scope to focus on race pace in Practice 6, but he does not feel enough was found on his way to setting the seventh-fastest time. "We would have loved to find some gains in practice this morning but we didn’t get there,” he said. “Effectively, we’re still in the same position we’ve been in all weekend, which is lacking overall pace. 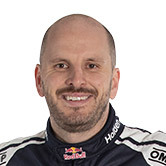 Dumbrell agreed with Whincup’s assessment that there was still work to be done, but feels forecast rain on Sunday could help the 2012-winning pair. "It's been a tough day, we struggled yesterday when we didn't make the shootout,” he said. “We were hoping to redeem ourselves in practice this morning but we are still probably lacking a fair bit to be honest. “We've got a fair bit of work to do overnight. Tomorrow is a long race and it's looking to be wet - you very rarely wish for wet weather but we are because of where we're at with our car. 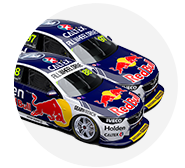 Shane van Gisbergen and Matt Campbell will start fifth on Sunday after van Gisbergen turned a 2:04.6688s in the Shootout, while Craig Lowndes and Steven Richards will line up 19th. Triple Eight switched the Whincup/Dumbrell and Lowndes/Richards Commodores to Project Mu brake pads from Performance Friction for Practice 5 on Friday, after encountering cracked brake rotors on Thursday. Team manager Mark Dutton explained that the change - which other teams have also made - added another element to its weekend. “Shane was already on Mu, but the other two were on PFC, which is not ideal, obviously,” he told Supercars.com. “It’s not only just getting the one lap out of them, it’s the driver’s muscle memory to know ‘if I have a moment, this is what I do’, modulating [the pedal] and stuff. That has affected us. “We’re not pretending to use that as an excuse, but we would all sort of be not doing it justice if it wasn’t a factor in our performance. “Craig, especially, was on for a really good lap that would have put him clearly in the 10 in qualifying, and then made the little error with his brakes because of that.